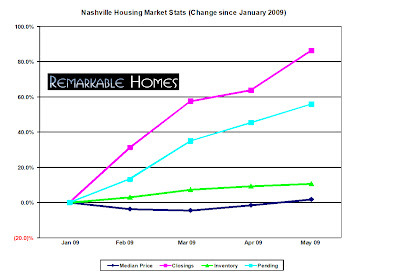 The Middle Tennessee MLS (Realtracs) just released May 2009 stats. The following graph and analysis are based upon the residential single family homes and condos market. As you may recall in April, closings were up almost 65% from January. Did May continue breaking our expectations?